Inside the borderline mind there is a very profound split, fragmentation, and in some cases a shattering of the ego due to the narcissistic intrapsychic injury sustained at a very young age as the result of abandonment (actual and/or perceived) that arrests emotional development. What does every family member, friend, relationship partner, or ex-relationship partner (non borderline) need to know about what goes on inside the borderline mind? Why does understanding the workings of the borderline mind matter to those who are non borderline? A.J. 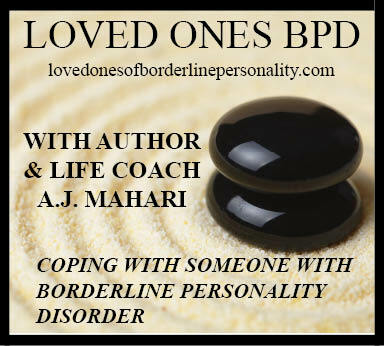 Mahari gives non borderlines a profound look inside the borderline mind as only one who has been there and made it back can. I have lived from within the borderline mind. I have made it out of that dark and profoundly wounded place. In my audio series, Inside The Borderline Mind , in an effort to help non borderlines understand what borderlines think, how they think, and what causes "borderline behaviour" I explain my understanding of the borderline mind as one who has been there and made it out - as one who has recovered. In my audio program series of 5 - 2 of which are now available - I talk about and explain what the borderline mind essentially is, how those with BPD think, the reasons behind the manifestation of BPD behaviour, generally and particularly in relationships, codependence, inconsistency, incongruence, lack of object constancy, narcissism in BPD, the difference between Narcissistic Personality Disorder and Borderline Personality Disorder, idealization and devaluation - splitting, emotion dysregulation, and so much more. Many non borderlines, whether they are still in any form of relationship with someone with BPD or not (chosen or unchosen relationships) have a substantial need to understand as much about BPD and the internal experience of the borderline in their lives as they can. For many it helps with decision making. For many other non borderlines it is a missing piece of the resolution puzzle.